HOUSTON, TX--(Marketwired - Jan 14, 2015) - Franchise Business Review, a franchise market research firm, announced today that Christian Brothers Automotive joins the elite list of companies earning a spot in their annual Top 200 Franchise Companies List. The list, entitled The Best of the Best, Top 200 Franchise Systems List for 2015, ranked hundreds of participating franchise companies by their overall levels of franchise owner satisfaction. Christian Brothers was the top-rated automotive franchise, beating out every other automotive contender for the top spot for the fourth consecutive year. 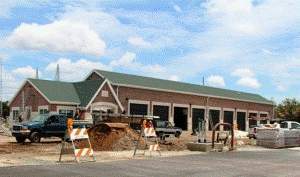 Auto repair franchises have proven to be a very stable investment over time; Christian Brothers has never had a location close. "We are extremely excited about our ranking," says CEO Mark Carr. "This reflects our own view of our business. Our franchisees are really enjoying what they do, and we expect to have substantial growth in 2015 with the current market conditions." 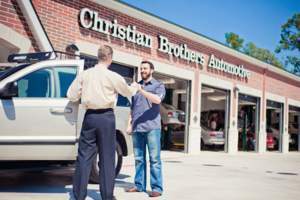 Christian Brothers is a highly rated, faith-based, auto repair franchise with a unique financial model. Christian Brothers assumes a majority of the startup risk by constructing "built-to-suit" buildings, which the franchisee then manages. Christian Brothers does not charge a franchisee from the top-line revenues like virtually every other franchisor, but from a share of the profits, which are calculated after expenses. Franchisees also pay themselves a salary before they pay the franchisor a nickel. The Franchise Business Review Top 200 ranking puts Christian Brothers Automotive into an elite group of the best franchise companies in the country. Only companies with excellent fundamentals, great financial positions and high franchisee satisfaction scores earn a spot in the ranking. Over 3,000 companies franchise in the United States. To select its top 200, the franchise magazine surveyed 28,500 franchisees from 350 brands that have at least 10 franchises in North America. The survey ascertained franchisees' thoughts on financial opportunity, training and support, leadership, operations and product development, core values (e.g., honesty and integrity of franchisor), general satisfaction and the franchisee community. "We are delighted that our franchisees have responded very well to our support and operations leadership," Carr said. "We will continue to help our franchisees and look forward to even better our relationships in the future. As our franchisees' satisfaction grows, so does our business." Christian Brothers also ranked 249th on this year's Franchise 500 list, published by Entrepreneur magazine. It was the fifth consecutive year on the list for Christian Brothers, which has grown from 109 locations in 2013 to more than 130 today. Christian Brothers, which was founded in Houston in 1982, has been franchising since 1996. For in-depth details about the Christian Brothers Automotive franchise opportunity, download our free franchise report. You can also learn more by visiting our research pages. Christian Brothers was named to Franchise Business Review's top 200 franchises to own again in 2015. New Christian Brothers franchises continue to open as the automotive franchise's growth keeps increasing. Christian Brothers Automotive strives for every location to contribute to its community in a positive way.